While it is still very cold where I live and large parts of my state remain covered in snow, spring fever is slowly setting in. I have put away all the winter decorations and my six year old and I are starting to bring out the spring and Easter paraphernalia. Naturally I feel compelled to craft new things, especially since March is National Craft Month. This year’s spring trends, as I learned from Jo-Ann Fabric and Craft Stores, have nautical, geometric, floral, and radiant orchid (Pantone Color of the Year) elements. And to make spring crafting easy during National Craft Month, Jo-Ann offers a $5 off $25 or more purchase coupon and a spring crafting inspiration website. After some much needed spring cleaning and organizing in my daughter’s room, it was decided she lacked seating. She told me she wanted a pouf. Since we have something of a woodlands theme going in her room, and because it’s her favorite color, we looked for mostly green in the home décor fabric aisles at Jo-Ann. We found some lovely floral and geometric patterned fabric and paired that with a beautiful solid green. One and a half yards of fabric in three different prints, half a yard of each. I used home décor fabric because it’s sturdier. To make a 14” square pouf, measure and cut six 15” squares, including a 1/2” seam allowance, if you plan to sew the pouf closed by hand. If you want to include a zipper panel, add an extra inch to one square and make it 15” by 16” (technically no longer a square). Cut your zipper panel in half (15” by 8”) and pin the two halves lengthwise together, right sides facing each other. Sew the zipper in your panel, following this fabulous tutorial on Design Sponge. I use it every time and could not do a better job showing you how to do it. Upon finishing your zipper panel, you will have six 15” squares. I chose to alternate my fabric prints and have the solid green panels as the top and bottom of my pouf. After I created the zipper panel, I pinned and sewed two print panels together, right sides facing. Repeat with the other panels and then sew them all together. Once all the side panels were sewn into a big square tube, I sewed in the top, followed by the bottom. The corners are a bit tricky but if you go nice and slow, you should end up with a beautiful and consistent 1/2” seam. When you sew the bottom, remember to open the zipper slightly or, if you don’t use a zipper and plan to close the pouf by hand, leave a large enough opening for turning the fabric and stuffing the pouf. Trim your threads, iron your seams and turn your pouf inside out. Stuff it with whatever you have available, I used an old king size duvet. It’s amazing how much stuffing a 14” pouf takes. Like I said, it’s bigger than you think. That’s all there is to it. I am very happy with my spring pouf and I am sure Lola will love it as well. The girl is so easy to please. If you too would like to craft your way into spring, be sure to take a look at the Jo-Ann inspiration website. And don’t forget the coupon! This post is sponsored by Jo-Ann Fabric and Craft Stores as part of the National Craft Month campaign. I received a gift card to purchase materials and write this post. The opinions are my own. I have a pile of vintage and not so vintage blankets in my house. Some are in boxes in my craft room, others in my bedroom closet. There are baby blankets, army blankets, striped blankets, and reversible blankets. Blankets in pink, blue, green, brown, yellow, and white. I also have lots of lovely cotton fabric, in assorted colors and prints. Fabric to line bags with, and bag pockets. The pile of blankets has shrunk somewhat. In its place is a growing pile of messenger bags. My Kindle Fire passed away. While it was not an unexpected passing, it was a very sad moment for me because I used it daily. For some time it had had trouble charging. Unfortunately the problem was not with the charger, that would have been an easy fix. No, it was the charger receiver thingy. For a while I was able to wiggle a charge, but at some point last month that stopped working, too. I called Amazon Kindle Support, lovely people by the way, but they could not help me and time of death was quickly called. Since my Kindle was two years old, it was no longer under any sort of warranty but the good folks at Amazon made me a rather generous replacement offer. After waiting to see if Santa had anything up his sleeve – alas, he didn’t, I took them up on their offer this weekend. My first Kindle Fire had a 7” screen. To protect it, I created a sturdy felt owl cover for it. It was made with 3 mm thick gray and white wool felt and a pair of black buttons for its eyes. My new Kindle is the bigger 8.9” screen version and the owl no longer fits. Time for something new. While I loved my owl, I wanted something a little snazzier for my new cover. Felt will always be my first love, especially thick wool felt, but I am on a self proclaimed craft materials purchasing stop and wanted to use what I had on hand for my prototype. I also wanted to try and incorporate elastic in my design. I share a love of maps with my mother-in-law and when she wanted to get rid of an old Rand McNally road atlas, I was happy to take it off her hands. Since this first cover was an experiment, I did not want to use the map of Wisconsin, my current home state. I intended to save that one for the real thing. Instead I used Washington State, my previous home state, for the outside. I fused the paper map to the wool felt lining, couldn’t forgo on felt entirely, with Heat ‘n Bond Lite (the kind you can sew through) and finished it off with Pellon’s Vinyl-Fuse to make it water repellant. Then I attached the elastic and sewed the two pieces together. All that’s left is wait for the Kindle to arrive and see if it fits. What do you think? When I was still living in Holland, my mom, my sister, and I would get together every year at the beginning of December to do something Christmas-y. We would make a wreath, needle felt a Santa Claus, or visit a Christmas market. I miss that. So, after we moved back to Wisconsin, I introduced this lovely tradition to my family here. I get together with my aunt and my cousin’s wife, kids are included, every first weekend of December and we do something crafty. This year we made Finnish Stars. Since I already have a Christmas tree full of them, I tried my hand at origami Christmas trees while supervising the folding, weaving, and gluing of strips of sheet music. The origami tree turned out very cute, but it wasn’t what I had hoped it would be. I just couldn’t see my Christmas table full of them in various colors and sizes. But then my eye fell on the stack of cardboard from my aunt’s recent shopping trip for new dining room furniture and I immediately thought: “Cardboard chandeliers, how #fabulouslyfestive!” And a perfect project for Jo-Ann Fabric and Crafts’ Celebrate The Season campaign. I am hosting Christmas dinner for twenty this year. The twelve big people will dine at the ping pong table in the living room and the eight smaller people, I cannot call them little anymore, will sit at the kitchen table. My plan is to make three cardboard chandeliers, two for the adult table, and one for the kitchen. My chandeliers are approximately 18” by 18”. I started out by making a rough sketch on a piece of paper, making sure my design was not too intricate. I then copied the drawing onto a clean sheet of cardboard. To ensure symmetry, I drew a 1” grid on the cardboard, making all my male relatives (engineers and physicists the lot of them) proud, no doubt. Unfortunately, there are no pictures of this so I cannot prove it. I have witnesses, though. Once I was happy with the result, I cut out the chandelier with my X-acto knife. This is a laborious task, I have to say. I cut until my fingers hurt from pushing the knife, and blisters started to form. This is when I quickly adjusted my plans to make three chandeliers down to two, and then down to one. What a chore. Ah, but when the cutting was done, it turned out so awesome and I immediately readjusted the number of chandeliers. In fact, I now want to make four, as soon as my hands heal. But first, we paint! I use DecoArt’s Elegant Finish metallic paint in Glorious Gold. Fabulous paint, people! You can find it in the paint aisle at Jo-Ann Fabric and Crafts. Covers well, dries fast, and has a beautiful shimmer to it. Once the painting is done, it is time to break out the glitter to make the flames extra sparkly. And secure with a few spritzes of clear coat to keep the glitter from falling off. Heartless mother that I am, I deprived my six year old who lives for this stuff, of adding the glitter to the flames. What can I say, I still have not gotten over the Great Glitter Explosion of 2011. I know, I should let it go already. Once everything is dry, it’s time to decorate. For the trim I wanted lightweight strands of gold beads. I found the perfect stuff in the Great Deals aisle at Jo-Ann. They have the beads in two sizes and three colors: red, silver, and gold. I cut small sections of the beads and secured them to one chandelier half with a drop of hot glue. Then I put the two chandelier halves together and glued the beads in place on the other half. While I think they look great, they are a little wonky. I tried straightening them by adding weights and making the strands wet, but to no avail. Wonky beads it is then. If, when you slide the two halves into each other, there is a large gap, secure that with a little hot glue. By the way, if you should run into a very large dog that, with one sweep of his tail, breaks off one of the chandelier arms, don’t fret. With a thin piece of wood, such as a match or even a toothpick, and some glue, this is easy to fix. Just dab some glue, I used Aleene’s Tacky Glue for this, on the wood and insert it into the broken pieces of cardboard. While it may wobble a little bit, it will not go anywhere after that and once you put the chandelier together, you’ll never be able to tell an arm was broken. For the finishing touch, I made a small hole in the bottom of the chandelier and attached a crystal chandelier part. I happened to have some on hand from a previous project, but you could easily use large beads for this. I hung my #fabulouslyfestive cardboard chandelier with some clear beading wire and stood back to enjoy the final result. To make the chandeliers even more fabulous, you can add some battery operated fairy lights if you have them. Alternatively, you could use gold wire lights, found in the bridal department at Jo-Ann. Since I have no place to hide the battery pack, I didn’t do so for the chandelier in the kitchen. The living room is another story, though. We have big beams, perfect for setting a battery box on. What do you think? #Fabulouslyfestive, or what? I am so pleased with how they turned out. Our Christmas will be merry and bright, for sure. This post is sponsored by Jo-Ann Fabric and Craft Stores. 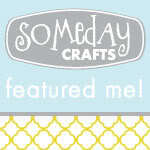 I received craft products and a gift card to write this post. Once upon a time I worked at an online jewelry making supply store. Inspired by the women I worked with, I tried my hand at making jewelry and loved it. Dutch Girl Originals is where you can find my creations. It is not just jewelry anymore, but a broad selection of crafts. Thank you for your visit. Please come again! Copyright Dutch Girl Originals. Picture Window theme. Theme images by andynwt. Powered by Blogger.